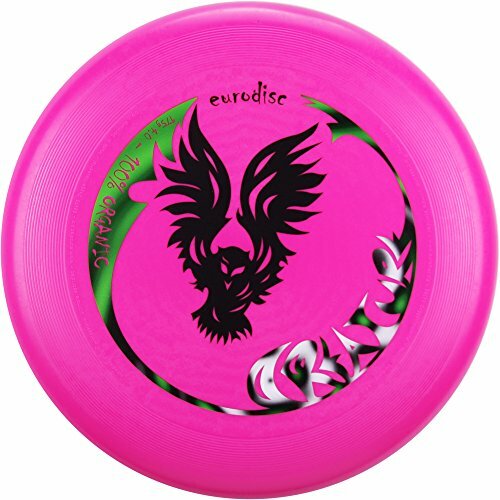 Eurodisc is the Ultimate disc for Ultimate people. Now made of 100% organic material. It´s perfect flexible and grippy. Recommended and approved by the German Frisbeesport Association. Disc is Made in Germany, printed with newest technology over the rim. Scratchresistant FOTO-UV-Print. Although this disc is not biodegradable it helps to save recources. The disc is completely made of plants. Play Ultimate now environment friendly and let us know what you think about this disc! NEW PRICELIST FOR ULTIMATE TEAMS: contact us through amazon and we will send you our team pricelist immediately. Order 25 or 50 discs with your own logo printed in high quality scratch resistant fullcolor fotoprint! You will never want to throw something different... ATTENTION: YOU CAN´T EAT THIS DISC! !